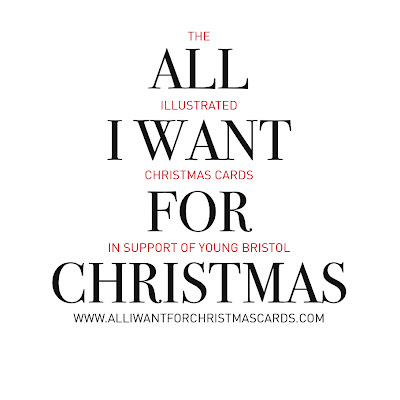 Welcome to the All I want for Christmas cards blogspot. We are going to use this as a way of keeping you all up to date with everything that happens over the next few months. You can also follow us on Twitter (www.twitter.com/All_I_Want) and you can join the Facebook group (www.facebook.com/group.php?gid=275796380626), so there's no excuse not to know whats going on. We have the designs ready for our promotional material, which we are really happy with and will be used to help promote the event leading up to the launch night at the Arnolfini on the 12th November. Let us know what you think. We will also be launching the official website in a matter of days. It's all go go go at the moment.